Our society offers scholarships and travel awards on a regular basis to students and/or early career members of the society. The value of these scholarships and awards are set by regional council and may be reviewed annually. 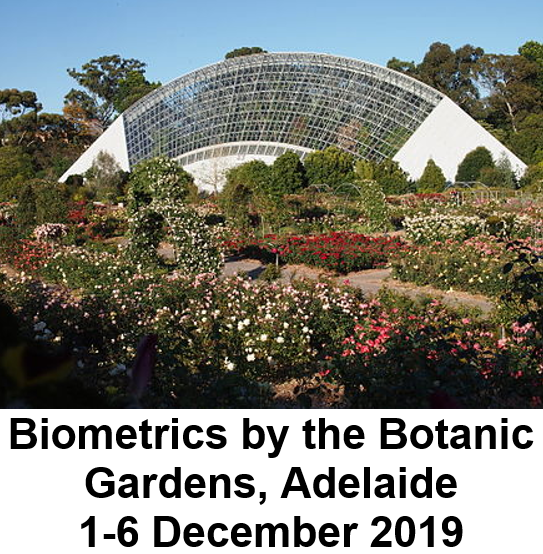 The Australasian Region of the International Biometric Society wants to attract enthusiastic and talented graduates, or near graduates to career paths in biostatistics and biometrics. Therefore the society offers scholarships for suitably qualified students who intend to undertake a fourth or honours year of study, or a coursework Masters, in statistics, mathematical statistics, biostatistics, bioinformatics or biometrics. Scholarships are for one year. Applicants should have completed a third year of a relevant bachelors degree course, or equivalent, with a major in statistics, mathematical statistics, biostatistics, bioinformatics or biometrics, and must have a strong academic record, potential for a career in research, a strong interest in applications of mathematics and statistics to the biosciences, and good communication skills. The Australasian Region of the International Biometric Society wants to encourage enthusiastic and talented research students and recent graduates in statistics, mathematical statistics, biostatistics, bioinformatics or biometrics, to career paths in biostatistics and biometrics. Consequently, occasionally the region offers a travel award to assist an outstanding student member of the society or an early career regular member, resident in the region, who intend to present a talk or poster at relevant regional or international meetings but need financial support. The value of these awards varies and depends on the conference and the number of awards on offer. Other scholarships and awards of relevance to our members will be listed here when details are available.